If you like these as much as we do, you may want to plan a heavy workout before you make them! Since they are sweetened using dates, each ball has approximately 6g of sugar, making them perfect post-soccer snacks, but not something you would want to take to the couch as you pound back a 6-pack! Speaking of sugar, I don’t know about you, but I would rather eat my treats any day than drink them. One can of soda has approximately 33g of sugar! I can’t even fathom how I used to drink that stuff regularly. It makes me cringe now. The next time you feel the need for a soda, try adding the juice of half a lemon and a tbsp of apple cider vinegar to a glass of Perrier. It’s the best invention ever. I’m pretty sure I learned about that drink from Food Matters, so props to them for that one! Place walnuts in a food processor and pulse until fine. Add the dates, almond flour, shredded coconut, cocoa powder, coconut oil, and sea salt. Pulse until thoroughly combined. 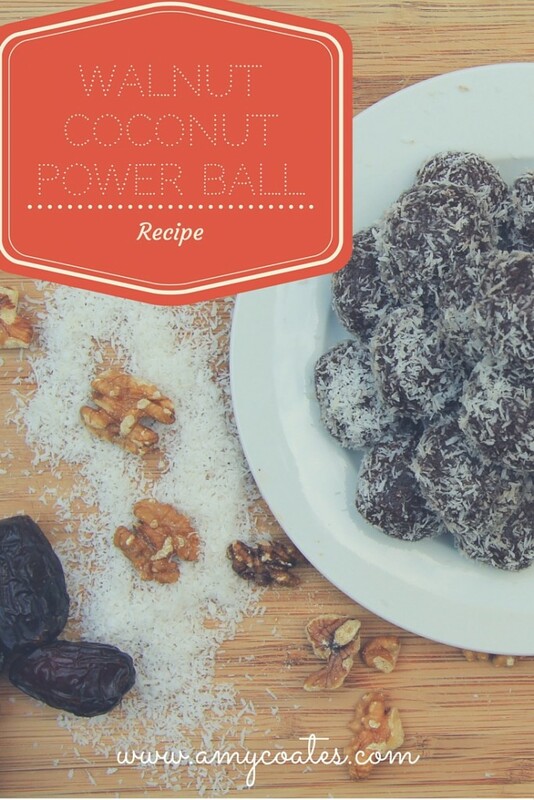 Roll into golf ball sized balls and roll in shredded coconut. I’m pretty sure I’ve created some version of this concoction before, but this is my new absolute favourite upgraded version so here it is! I made this smoothie after an intense workout, which is why I used dates. Alternatively you can use stevia to taste. I started using collagen powder after sustaining a knee injury. It is a phenomenal protein powder, providing support for collagen loss and cartilage damage to the body. There are so many benefits that I use it every single day! It adds protein to smoothies without altering the taste. Between the collagen and the peanut better powder, there is a lot of protein in this bad boy! This is my absolute favourite recipe to make at the moment. I make it about once a week and I usually end up doubling the recipe so that we have leftovers as well! I think I could eat it every day. Butter chicken and chocolate. Balance! Plus, it’s so easy to prepare. It’s something I can make even when I have 3 little boys running around. Three! Arlo is walking now so our house just got a little bit crazier, which means I have to make meals that I can pull together quickly! If you are dairy free, simply substitute coconut oil when cooking the chicken and onions, and don’t worry about adding any extra at the end. I usually use salted butter, so you may want to season to taste if you are making the substitution. Cut chicken breasts into 1” chunks. In a large pan, add 2 tbsp butter and cook the chicken on both sides until no longer pink. Careful not to overcook them. You want them to remain juicy! Remove from pan and set aside. Melt another 2 tbsp butter in the pan and add the onion and cook over medium/low heat until softened, about 10 minutes. Add the garlic, garam masala, ginger, paprika, and cumin, and cook for another minute. Add the tomatoes, lemon juice, and coconut milk and bring to a boil. Cook over medium/low heat for 10-15 minutes to boil off some of the water. Return the chicken to the pan and add the rest of the butter. Simmer for 5 minutes to reheat the chicken. Serve with cauliflower rice, recipe below. Chop cauliflower into small florets. Place cauliflower in small batches into a food processor and pulse until it resembles rice. Melt the butter in a large pan and add the rice-sized cauliflower. Cook over medium heat, covered, until tender, 5-8 minutes. Add a few tbsp of water or chicken stock if you need moisture in the bottom of the pot. While cauliflower is cooking, add salt and turmeric. Last year I went all out for the Oscars. We ordered pizza. I ate 2 slices and washed it down with some Barq’s Root Beer. Then I proceeded to push out a 9 lb baby in our bathroom 5 hours later 😉 Glad I won’t be doing that again! 3 boys and done! This year I decided to keep it simple. Some freestyle Mexican inspired dip: refried black beans, minced beef, and some delicious guacamole. There will be no more Oscars and pizza nights in our house since I’ve finally made the leap into being 100% gluten free. I’ve been wanting to do it for years but I never tried hard enough because I was scared to let go of some much loved favourites: pain au chocolat, really good bread, and wood oven pizza (specifically Cremini Mushroom Pizza at Pizzeria Libretto if you’re a Torontonian. Yum!). But as I continue on this health journey I couldn’t deny my body what it needed, and that’s a very clean diet. Thankfully it’s not a very big leap from our current diet since our kitchen has been 100% gluten free for years. We saved the gluten for the occasional pizza, wings, or restaurants. I’m super excited to see the me I can be without gluten! I’m not entirely sure this is the Mexican way, but it’s my way, and it’s delicious! Place onion, garlic, and butter in a large pan and cook over medium/low heat until translucent, about 10 minutes. Add the black beans and mash with a potato masher. Add the cumin, sea salt, and chicken stock, and mash once again. Once they’re as mashed as they’re going to get – you’re done! Brown the beef and add the rest of the ingredients. Cook over medium heat 5-10 minutes to boil off some of the tomato water. Mash avocados with a fork and then add the rest of the ingredients. If it doesn’t taste amazing, then there are 2 things you have to play with: the amount of sea salt and the amount of lime juice. Play with these until this is the best guacamole you’ve ever tasted. 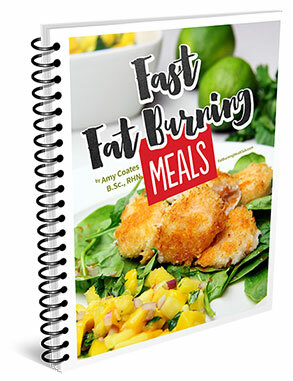 whatever else you want to eat with your delicious freestyle Mexican dinner! A shout out to Yuri for taking the beautiful photo while I wrestled the food to the table for our 3 little boys! I put the dishes in individual serving bowls and let the kids assemble their dinner as they wished, which meant that Oscar ate a bowlful of guacamole and Luca ate 2 tortilla chips after filling his plate with them, declaring “I done!” and running away to play with a truck puzzle. While they ate, I put Arlo out of his misery by giving him a bottle and then put him to bed. And then I finally got to eat! Dinner as usual in our house! These babies have been a long time in the making. I’ve been working on the recipe on and off forever, making them now and then but never really getting excited about them – until now! I’m really glad I didn’t post them earlier because I’m on a low carbohydrate mission in all of my recipes these days. There is so much unnecessary sugar in modern day food – it drives me crazy. I had a muffin last week in a moment of weakness and I went into a sugar coma immediately after. No wonder I was a walking zombie every day in high school, having delicious sugar-rich cookies every. single. day. I literally lived off of sugar! I do not want my kids suffering the same fate, but I also don’t want to deprive them of treats. I made so many cupcakes testing this recipe that we had them for breakfast the next day along with 2 pints of blueberries. No sugar crash. No mommy guilt. And very happy kids. Preheat oven to 350 degrees. Line a muffin pan with 12 silicone cups individually greased with coconut oil. Mash up the banana very well, then add the eggs, almond milk, maple syrup, vanilla, and stevia. Combine almond flour, cocoa, sea salt, and baking soda, and add the dry ingredients to the wet. Stir well. Divide the batter between the 12 muffin cups. Bake 30 minutes or until a toothpick comes out clean (dry). Let cool in the pan at least 20 minutes. Hollow out the middle with a tsp. Ice liberally with the chocolate ganache (careful not to fill the hole) and fill with the coconut filling! Place egg yolks and 1 tbsp water in a large bowl. Place the bowl over an inch of barely simmering water, and whisk until the eggs thicken, about 5 minutes. Add coconut cream and stir until melted. Remove the bowl from the heat and mix in pecans, shredded coconut, vanilla extract, maple syrup, and stevia. Set aside. Melt the chocolate in a double boiler. Once the chocolate has melted, remove from the heat source and add the coconut cream. Stir to melt the cream. The coconut cream brings down the heat of the chocolate. The mixture will thicken and you can immediately ice the cupcakes (after they have cooled a little). When I started this journey into healthy eating it became apparent straight away that I was addicted to sugar. While my eating habits have changed completely over the past 10 years, the sugar monster remains at some level. My sugar of choice has always been chocolate, and although I eat the healthiest form of it, I am still guilty of eating too much of it sometimes. The best defense is a good offense, so traditional candy doesn’t make it into the house. But I do have a healthy stock of organic, fair trade, 70% or more cocoa chocolate bars, chocolate chips, and chocolate chunks. Under normal conditions, I don’t reach for them. But as soon as you add the stress of parenting 3 young boys, I can eat an entire 100g chocolate bar in just a few minutes! Wanting to dive into the chocolate this morning in a fit of stress, I decided that I would only have a little piece. And this time, I knew that’s all I would have. Usually a little bit turns into a lot of little bits, but this time was different because I had a plan. This hot chocolate is the best defense I’ve had in awhile. I didn’t add any sweetener at all – just whatever is in the 70% chocolate itself, but you may add a little stevia, erythritol, or honey if you wish. Though, I challenge you to drink it as written – without any added sweetener. I liked it immediately and didn’t need any sugar, but of course, I am motivated to limit my sugar intake in the name of health. This just may be the sword that slays my inner sugar monster for good. Place all ingredients in a sauce pan over low heat and whisk until both combined and desired temperature is reached. I think I’ve teased you all long enough with the pictures of this delicious sauce! It reminds me a lot of the cheese and flour sauce that my mom used to make to get us to eat cauliflower. But now, the sauce is made of cauliflower! The nutritional yeast gives the sauce its cheesiness so make sure you have it on hand. Don’t worry, it’s an inactive yeast so it won’t add to any candida issues. Plus, it’s full of B vitamins to give you an energy and nutrient boost! In a large soup pot, sauté the onion in coconut oil over medium heat. After 5 minutes, add the garlic and cook for a few more minutes. Add the cauliflower and chicken stock to the pot and cover. Cook over medium high heat until the cauliflower is tender. Transfer the cauliflower mixture to a high speed blender and add the nutritional yeast, turmeric, salt, and pepper. Blend well. Lastly, place the broccoli in a large pot with an inch of water in the bottom. Steam the broccoli for 3-5 minutes or until desired tenderness is reached. Drain broccoli and rinse with cold water to stop the cooking process. Drain the broccoli well, transfer to a bowl and top with cheese sauce. I’ve been meaning to make something like these for a long time and finally got around to it yesterday! As always, I made sure to get the sugar down to a minimum, and these certainly don’t disappoint. Everyone who has tried them has said, “These are healthy?” Well, they’re as healthy as I could get them! I mean, they’re not a spinach salad. They’re still cookies! But unlike a lot of the Christmas goodies you’ll cross paths with, they’re extremely low in sugar, which means you can eat them and not turn into the grinch 30 minutes later. Each cookie has only 1/2 tsp of maple syrup. Preheat the oven to 325F and place a silpat sheet over a cookie tray. In a large bowl, mix together the coconut, almond flour, and sea salt. In a medium bowl, beat the eggs, and then add the stevia, coconut milk, vanilla extract, and almond extract. Stir well. Pour the wet ingredients into the dry and mix well. Drop dough in tablespoon amounts onto the silpat sheet. Roll them into balls and then flatten them with your fingers. Cook at 325F for 22-25 minutes. As the cookies are cooling, melt the chocolate. Place an inch of water in a medium sized pot and bring it to a simmer. Place a bowl over the simmering water and add the chocolate chips and coconut oil. Stir frequently until all the chocolate has melted. If you need to thin the chocolate, you can add more coconut oil. 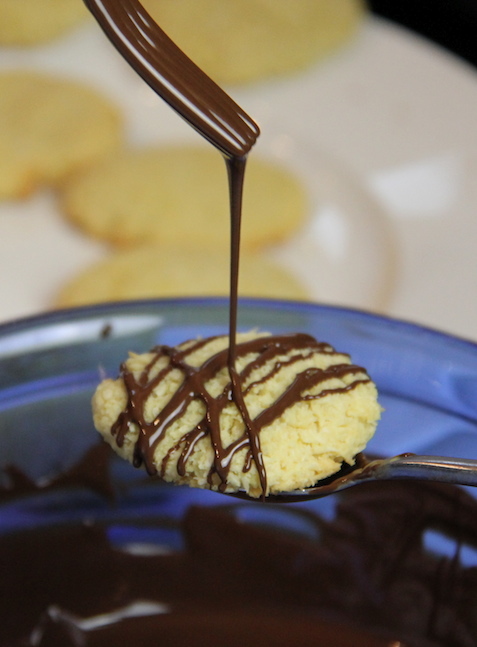 Remove the chocolate from the heat and drizzle over the cooled cookies. Refrigerate. Keep the cookies in the fridge until ready to serve! Every parent dreams of having a dinner scene that isn’t complete chaos. Imagine your kids sitting at the table and actually EATING what you put in front of them for once. This is that recipe. Not only that, but this is the meal they won’t complain about if they have to eat it tomorrow night as well. Ok, ok it’s not all rainbows and glitter, I had to bribe them the second night and let them eat on the couch, but still. And people I have sent this recipe to loved it. Their families loved it. And you’re going to put it in your dinner rotation. I pinky swear. roasted jalapenos, hot sauce, and/or avocado to garnish – they’re all delicious! In a large pot, cook the beef until no longer pink. Add the onions. Cook for 5 minutes and then add the garlic and sweet peppers. Cook another 5 minutes, stirring occasionally. Add the kidney beans, black beans, tomatoes, tomato paste, quinoa, beef broth, chili powder, paprika, cumin, and sea salt, and simmer partially covered for 3 hours to let the magic happen, stirring occasionally. You can eat it after 1 hour but the longer you leave it the tastier it gets!